We’ve been working hard at CLC HQ to bring yousome super exciting things for the 2018 season. We will have a new range of exciting merchandise to help expand a brand for the club. We’ve got merchandise that you’ll be proud of wearing at affordable prices and a bundle deal that’s perfect for families! Sample sizing will be available to try on in the canteen by (fingers crossed) Tuesday 17th April or you can pre-order now via our new online store too! Official Tuesday and Thursday training commences NEXT WEEK! This season we’re alternating fortnightly with djinta djinta Winery meals and parent’s cooking meals. All your supplies will be paid for – you’ll just be donating your time. JUNIOR FIXTURES FOR THE FIRST 4-6 ROUNDS WILL BE RELEASED NEXT WEEK! The pass mark to become a club referee is 60%. The test isn’t that hard, is free and can be retaken as many times as you want until you get the mark you want. It is really important that we has as many players qualified to referee as possible. There are days when we are short and need help making sure we provide referees (especially important for our junior grades), the more people who are qualified the easier it will be to find a referee who able to help out our regulars. It’s also good to know the rules, so jump on-line, do the test and get qualified to be a referee. We have been lucky over the years to have excellent coaches for our junior teams. However, our senior teams without coaches are at a real disadvantage. This year we’d like each team to have at least one coach, and the junior teams to have more than one (to share the work, and help cover when one coach isn’t available). If you’d like to coach please contact us (secretary@caulfieldlacrosse.com.au or president@caulfieldlacrosse.com.au). It’s a lot of fun, a great way to connect to the kids (if it’s a junior team you are looking after), and you get the best position to watch a game from. LV run coaches courses, we will pay for you to go and get accredited. If you are new to coaching we will make sure you are working with an experienced coach to help guide you and help out. For our senior teams, especially the Women’s teams and the Men’s “Divi” teams, we’d love to see some past players sharing their experience and knowledge of the game and helping the new generation develop. 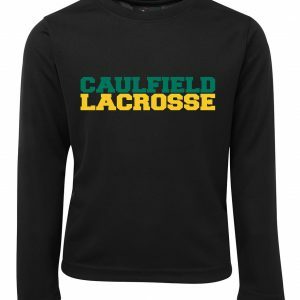 Coaching is a great way to give back to the club you love – so past players, go on – get involved with the club and give coaching a go (secretary@caulfieldlacrosse.com.au or president@caulfieldlacrosse.com.au). Challenger is one of Australia’s leading suppliers of quality blind components to the window furnishing industry, and they were proud to celebrate their 10 year anniversary in 2016. Challenger proudly supports Australian and international blind manufacturers, with their entire range of quality products manufactured in Australia or sourced from selected overseas suppliers. Challenger is one of Australia’s largest on-site roll-forming manufacturers. Aaron ‘Smash’ Smith has been involved at Caulfield Lacrosse Club his entire life. His entire family has either played for or been an integral part of what makes Caulfield Lacrosse Club. His grandparents Doug and Barb Imlach are both life members and Doug is also our Club Patron and has one of our most prestigious awards named after him. His Mum Kath and Aunty Helen have also been on numerous committee’s and are also Caulfield Lacrosse Club Life Members. Aaron has been a big sponsor of the club over the years and is passionate about Junior Development – a big area his donation goes towards.